Shadow Stalker Part 3 release. 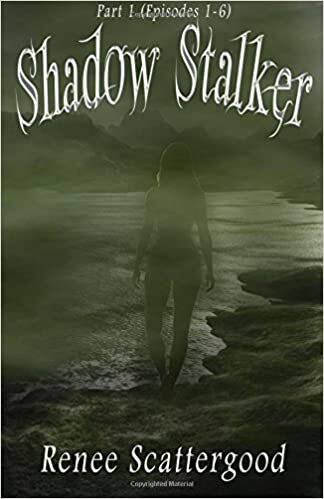 I’ve been anxiously waiting for Renee Scattergood to release Part 3 of her Shadow Stalker books. I read Parts 1 and 2 and am anxious to find out what happens to Auren and to find out how she will defeat the evil Drevin. Renee Scattergood is an excellent writer with a vivid imagination. Her world is well imagined and feels real. The books are original in their concept and well written. As soon as this is posted I’m off to Amazon to get it! When I’ve read it I’ll do a review here. I am reviewing Dissolution by C.J.Sansom today. I bought this book because I read the third Shardlake book, having bought it in a Charity Shop, and enjoyed it immensely. I decided I like the character and wanted to know more about him, so bought the first two. I’ve yet to read the second one. I’ll review it when I do. This is the first book in CJ Sansom’s Shardlake series and I gave it five stars. Shardlake is a lawyer at the time of Henry VIII. He is not what one might call a traditional hero. He is a hunchback whose infirmity often troubles him. He is also regarded with suspicion and superstition by those around him, but he is a clever man. C,J,Sansom has captured the period very well in this work. There is a very real fear amongst the people that the new Protestant religion is threatening them if they are not seen to fully embrace it. The characters he has created are very believable with all the foibles of humanity throughout the ages. The book is very well written and moves along at a fast pace, carrying the reader along with it. There are clues as to the murderer if the reader can manage to piece things together. I didn’t, and so was surprised at the ending. If anyone wishes to make a guest appearance on my blog, please message me. I would be only to pleased to welcome you.